In chemical vapor deposition process, solid materials such as particles, thin films or nanowires are deposited on a substrate by producing reactive species in the gaseous phase. 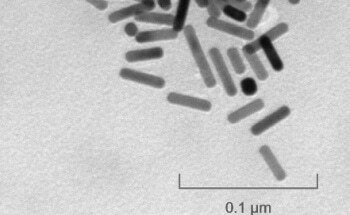 These reactive species are produced when precursor gases travel over the heated substrate. Different types of CVD processes are employed in present applications and they include low pressure chemical vapor deposition (LPCVD), atmospheric pressure chemical vapor deposition (APCVD), and metal-organic chemical vapor deposition (MOCVD). In the MOCVD process, metal-organic species are utilized as precursors for making thin films of metals, metallic compounds, metal nitrides, metal oxides, etc. Figure 1. Typical CVD Reactor. Atomic layer deposition (ALD) is a special type of CVD process which makes it possible to control the atomic scale deposition, and as a result helps in creating smooth alternating layers of varied materials that are extremely thick, uniform and have minimum defects. To this end, both ALD and CVD processes offer practical options since they promote the growth of thin films that are uniform and have precise thickness control. Some of the standard applications of CVD include the formation of protective coatings, such as coatings that are resistant to wear, corrosion, and extreme temperatures, as well as the development of thick structural parts, ceramic composites, optical fibers, and innovative powdered and fibrous materials. CVD is suitable for manufacturing optical storage media and is typically utilized for producing semiconductor devices. Figure 2. General MOCVD mechanism. On the other hand, ALD provides better control during the formation of films and hence is increasingly being used for depositing thin films in a number of applications like ferroelectric memories, integrated circuits, microelectromechanical structures, switches, thin-film capacitors, radiation detectors, etc. ALD is also essential for improving electroluminescent device technology. Proper selection of precursors is important to obtain the desired material. Originally, standard CVD precursors consisted of hydrides and metal halides, but in current applications a wide range of metal organic compounds, such as metal carbonyls, metal alkoxides, metal alkyls, metal amidinates, metal diketonates, etc., are being utilized. Metal organic precursors offer a number of benefits. For instance, they help in developing customized systems for low-temperature deposition processes, and hence eliminate the difficulties associated with increased temperatures. 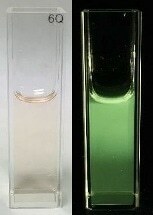 Moreover, metal organic precursors also eliminate halogens, which tend to be corrosive during the deposition process. Nevertheless, precursors should not decompose during vaporization and hence must be thermally stable but volatile. They should be able dissolve easily in inert solvents and must retain their liquid state at room temperature. Additionally, they must exhibit preferential as well as self-limiting reactivity towards the film surface and substrate. 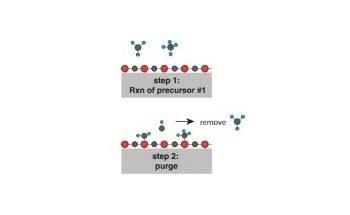 Majority of precursors contribute only a single element to the deposited film, while the remaining molecule gets decomposed during the process. In contrast, some metal organic precursors can contribute to the inadvertent integration of oxygen and carbon into the thin films, and this factor should also be taken into account. Moreover, the prospect of precursors’ pre-reaction in the vapor phase should also be examined. For certain metals, metal carbonyls prove to be the ideal precursors in CVD/ALD processes. Especially, metals like nickel, chromium, iron, molybdenum, rhenium, rhodium and tungsten can be deposited at reduced temperatures from their carbonyl precursors. These reactions are usually performed in a hydrogen atmosphere in order to cut down carbon contamination of the formed films. Carbon monoxide is the main byproduct in these reactions. For corrosion and oxidation protection, chromium films are deposited on steel and other types of metals, while molybdenum films are used as erosion-resistant coatings for metallization in electronic devices, and serve as high infrared reflecting coatings for solar converters and steel gun barrels. In addition, molydenum deposited through the MOCVD process is utilized to make freestanding shapes, while nickel is employed to make dies, tools and molds for producing plastic and metal components. Also, nickel mixed with small quantities of boron can be used to produce structural components. Through the CVD process, tungsten films are utilized for general metallization purposes. They are also used as absorber coatings for solar energy collectors and serve as diffusion barriers between aluminum and silicon in integrated circuits. Likewise, through the CVD process, rhenium is deposited to coat spheres in a fluidized bed. Although process conditions can affect the properties of materials produced through the CVD/ALD processes, proper selection of precursors is important to obtain the desired material. CVD/ALD processes provide a practical option present as they help in growing thin films that are smooth, even and have high conformality. Strem Chemicals, Inc. established in 1964, is a privately-held company that manufactures and markets specialty chemicals of high purity. Its clients include academic, industrial and government research and development laboratories as well as commercial scale businesses in the pharmaceutical, microelectronic and chemical / petrochemical industries. Strem Chemicals also provides custom synthesis and cGMP manufacturing services. Strem Chemicals' corporate headquarters is located in Newburyport 38 miles (60km) north of Boston. In 1999 this site was expanded to 30,000 sq. ft (2,800 m2). Its cGMP facility is FDA inspected. The European headquarters and warehouse are located in Bischheim, France. Strem Chemicals, Inc. is a member of SOCMA (Synthetic Organic Chemical Manufacturers Association) and is committed to Responsible Care®. Our mission is to provide specialty chemicals of high purity, in a timely fashion, to help our customers achieve their research and development and commercial objectives." "We recognize that the successful growth of our organization is the result of a synergy that utilizes the talents and teamwork of our employees, suppliers and customers." "Our employees are committed to personal integrity, cooperative effort and mutual respect and are empowered to take an active role to provide great customer service." This information has been sourced, reviewed and adapted from materials provided by Strem Chemicals. For more information on this source, please visit Strem Chemicals.